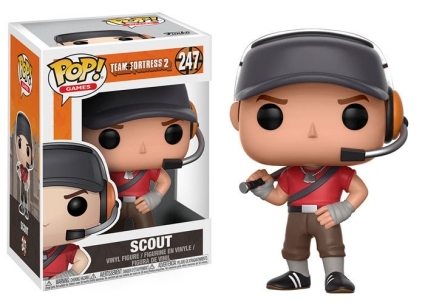 Grass grows, birds fly, sun shines, and brother, Scout hurts people, but don't fret, his Funko Pop Team Fortress 2 figure will only help grow your Pop! Games collection. The vinyl offering features a few more options from the Valve game Team Fortress, also known to fans as TF2. The first-person, multiplayer shooter TF2 was released in 2007 as part of The Orange Box bundle. Ten years later, the video game remains popular with gamers. 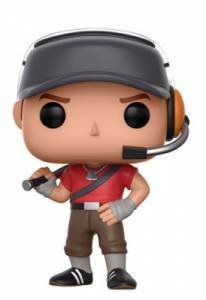 Funko Pop Team Fortress 2 commemorates the 10th anniversary with three marquee role/class characters. 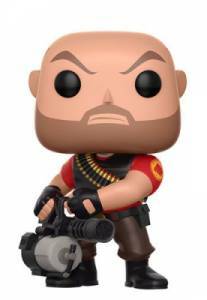 Order Funko Team Fortress 2 Figures on Amazon. Batter-up! Scout is a quick and agile Bostonian who, due to a low health level, carries a baseball bat and pistol. However, his stylized figure stands with only the bat resting on his shoulder. Scout is seen wearing dog tags, a headset, and of course, a pair of running shoes (or cleats). Moving from the fastest to the slowest character: the Heavy Weapons Guy. A rather large Russian known simply as Heavy is posed with his weapon of choice Sasha, which is actually a huge "minigun" but looks more like a miniature cannon. What good is a team if they get injured? No worries here, as the Pop! Games lineup also includes Medic. 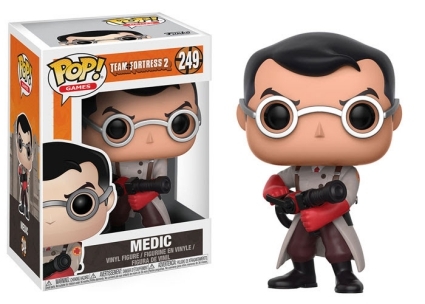 The German doctor has round white-framed glass and appears to be wearing a version of the "Colonel's Coat," which was created by the TF2 community, making this Medic extra-special. In addition, he also holds the Medi Gun with two blood-red surgical gloves. Funko Pop! 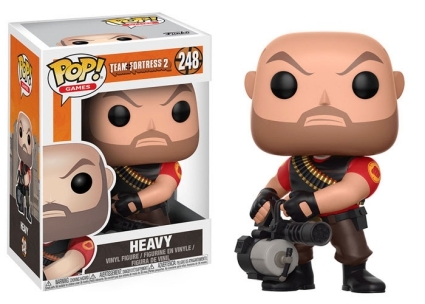 Games Team Fortress 2 Heavy #248 Vinyl Figure with Protector!